14th What Canon will introduce next week. 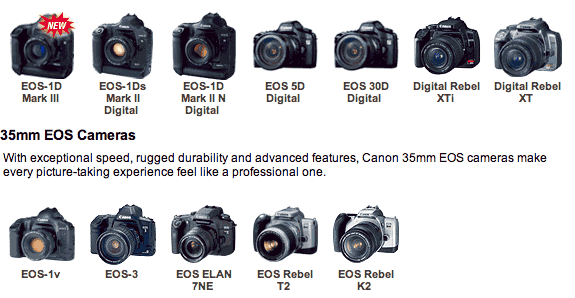 The 40D looks rather likely, but who knows when the 5D and 1Ds2 will get replaced? In general Canon like to give major products individual launches, but who knows if anything special is set for this anniversary year? 10th Another 16MP 5D2 rumour at POTN (via Vistek in Toronto), which if true, would make it much more likely (IMHO) that a 1Ds3 would be out first. Of course the various Nikon D3X related rumours are still going strong that a full frame or a DX D300 will be announced on the 23rd (or 24th in London is one press info session I’ve heard). Lest anyone be unsure, I’ve little time for many of the Nikon/Canon ‘arguments’. I use what I use by choice, other people make different choices :-) The more good cameras there are out their, the better. 2007 August 9th More AF issues…. 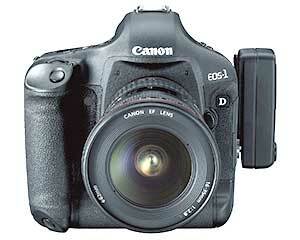 however the story at SP adds that Canon might be stopping 1D3 shipments, pending a ‘fix’. However, no sources for this conjecture are given and I’ve seen several such posts on forums. Thanks again to all the people who write in with comments and news. I also noticed that DPR had picked up on an old (2003) Nikon patent (7138663) for a full colour imaging chip which uses three small dichroic mirrors below an opening to direct red, green and blue light to separate photodiodes. Bit difficult to fabricate at the moment, but a nifty idea. 3rd Some 40D pictures on a Korean site, which mention the 20th as a release date – however various automatic translations of the page also hint at at 1Ds3 release – Any Korean visitors care to check the page and offer an opinion? Improves the look of images when played back on the LCD monitor. Applies a slightly stronger sharpness setting to the LCD monitor when images are played back. Fixes for Main Dial response errors (Main, Quick Control, Vertical-grip Main). Fixes a rare response error in the Main Dials in which they either did not respond when rotated or would change several clicks’ worth even if only clicked once. Reduces the tendency to autofocus on the background instead of the main subject when shooting in AI Servo AF under certain conditions. Reduces the tendency of the camera to autofocus on high-contrast backgrounds when shooting in conditions where AF detection is difficult, such as when the main subject is not completely covered by the AF frames or if the main subject’s contrast is low. Corrects errors in the Italian and Simplified Chinese menu screens. Fixes a rare phenomenon in which the camera cannot start normally when the battery is inserted, such as after replacing the battery. This phenomenon sometimes occurred with the version 1.0.9 firmware when the battery was inserted into the camera due to the camera’s communication timing. The occurrences were extremely rare, and abnormal operation could be fixed by reloading the battery. The version 1.1.0 firmware incorporates fixes for this phenomenon. Of course this is most likely a quick article knocked up from inspired by Canon’s 50MP APS-H sensor (19 x 28mm in size) PR back in June ;-) The only alternative would be the ‘all new Canon move into MF’, which from the rumours POV has rather run out of steam lately… Photokina 2008 anyone? 22nd There’s still lots of debate about the prevalence of the 1D3 AF issues – I get mail from people who are finding it a joy to use, without any real problems. Certainly, if I had one, my need for quick AF is pretty infrequent, so it would be the loss of wide angle coverage that would be the killer for me (Did I mention I’m still waiting for the 1Ds3? :-) Have a look at this thread on PPH (reg. required for full info) for some different views. We have updated the firmware in your camera to the latest version (Version 1.0.9). 1. Improves the look of images when enlarged on the LCD monitor, Applies a slightly stronger sharpness setting to the LCD monitor when images are enlarged. 2. Countermeasures for Main Dial response errors (Main, Quick Control, Vertical-grip Main). Fixes a rare response error in the Main Dials in which they either did not respond when rotated or would change several clicks’ worth even if only clicked once. 3. Improves the consistency of AI Servo AF under certain conditions. Reduces the tendency of the camera to autofocus on high-contrast backgrounds when shooting in conditions where AF detection is difficult, such as when the main subject is not completely covered by the AF frames or if the main subject’s contrast is low. Please note that this Version 1.0.9 firmware will be made available for download from the Web at the end of July. However you will not need to take any action as your camera has already been updated. 19th In comments about the ‘no 1Ds3 this year’ note below, it was pointed out to me that the price of the 1Ds2 in Japan recently went down from 892,500 yen to 826,000 yen. Some time after 20th Sept was slated for the announcement with availability by the end of November. 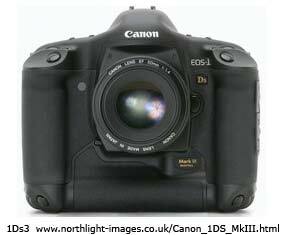 There is an update to V1.0.9 of the 1D3 firmware – the end of the month is when it’s expected to go on the Canon web sites. This FM thread has some further info. At the moment this is a ‘return to Canon’ update. Canon UK don’t know what specific issues the update fixes. 2007 July 17th 1D3 firmware update? A suggestion (NS) that tomorrow (18th) will see a 1D3 firmware update. 15th An interesting Canon technology snippet – they are developing their CMOS sensor business to use them in their smaller compact cameras as well as DSLRs (Reuters) — at present they still get a lot of their smaller (CCD) image chips from Sony. And in another interesting if unrelated — to the fundamental ‘where is my 1Ds3’ question :-) I was sent this PDF link to an interesting Canon guide to their lenses and the technology that goes into them. 14th A DPR post suggests that Canon have a Press Conference arranged on the 20th Aug. Although a new IXUS is slated for release, the 40D seems also a good possibility, particularly with all the recent price drops for the 30D. This does make me wonder about the 1Ds3 timing – could we see it at the same time? or does it get pushed into October? 13th There’s an interesting post on DPR with the response from Canon UK to a complaint about 1D3 AF. All said though, there are many users of MK3’s who don’t see an AF problem, but when the likes of Rob Galbraith say they have issues, I’d expect a slightly better thought out response from Canon? “The offer is available to anyone who purchases a camera through the Australian Professional dealer network and all Cash back claims have to be made through Canon Australia. But is is open to anyone. I’ve been asked by several people about the 1Ds2 offer mentioned below. I’ve only been sent Australian info – I’ve currently got no info on whether it is being run in the US or anywhere else in the world. I did hear of someone contacting Canon CPS in the US and not getting much joy from them, although one person at Canon did suggest that this was a CPS only deal in the US. 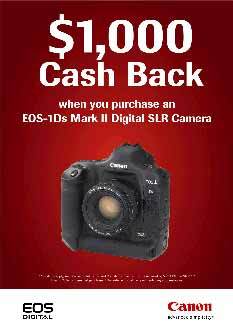 We are pleased to announced the following new EOS-1Ds Mark II Cash Back Promotion. Canon’s flagship EOS Digital SLR, the EOS-1Ds Mark II remains a must have for those true professional photographers looking to capture huge beautiful images, fast. Featuring a full-frame 16.7 megapixel CMOS sensor, super rich gradations, the EOS-1Ds Mark II delivers images that astound when printed at large size. This quality is complemented by 4 fps continuous shooting speed that empowers photographers to capture every decisive moment. With unprecedented speed and massive resolution, there is no limit to the creative possibilities. From July 1, 2007, Canon gives you the best opportunity to purchase the most remarkable camera in Canon Digital SLR history. Any customer who purchases an EOS-1Ds Mark II from an authorised Canon professional dealer during the promotional period receives $1000 CASH BACK direct from Canon. Combine this great Cash Back deal with the already outstanding “PROFESSIONAL PREMIUM KIT” offer (purchase an EOS-1Ds Mark II plus an EF50f1.2L and save $2,699 off RRP), available through your local professional dealer, the total value in Recommended Retail Price represents a saving to you of an amazing $3,699. Note: Professional Premium Kit Offer finishes July 31, 2007. June 29th I was sent an interesting Olympus PDF file about how they intend to combat the 40D and D300 – info on the 40D page. 25th A report from Japan tells of numerous AF related issues with the 1D3 and that Canon has not yet recognised it officially, although there may be an announcement next month. It might well be a return for service option and -not- fixed by a firmware update. 22nd If you’ve got 1D3 problems then do check out the updated article at RG there are suggestions about who to contact a Canon. 21st While I’m hearing directly from some people with 1D3 problems, someone pointed me to this review, along with the comment that they had not noticed any problems with AF. 2007 June 17th A couple of PDF articles from Canon about that APS-H 50MP sensor (#1 and #2) or about ~80MP in 35mm FF format (or ~30MP for 1.6 crop). Probably not until we get to a 1DsMk5 or 6 ;-) … and then what lenses are going to match it? Don’t forget that current 10MP point ‘n’ click cameras cram the pixels in pretty tightly and image quality isn’t overly hot – DPR note on Sharp 12 MP 1/1.7″ sensor. On techy matters, Kodak have announced new sensor filter patterns for better sensitivity – less colour detail but better luminance. 11th The wireless adapters for the new 1D3 are not exactly commonplace yet – maybe a Wi-Fi memory card ? “…Looking ahead Canon intends to offer a new file format in future digital cameras, says Masaya Maeda, Chief Executive of Image Communication Products Operations for Canon. The format could be in addition to or in replacement of either JPEG or CR2 RAW, but the company is still studying its options and hasn’t committed to any one format as yet. “As for CANON CMOS which is the semiconductor part of picture photographing (the complementary metal oxide semiconductor) with the sensor, the picture prime which becomes performance standard made on an experimental basis the product of 50,000,000 pixel. At approximately 5 times that of the sensor which is loaded onto the digital single-lens reflex camera and the like widely, the resolution which shows the degree of definition of the picture rises 2 times strongly, can grasp the license plate of the automobile which from the place where 300 meters it is far was photographed in wide angle. Use of supervision of wide place such as part inspection and parking zone of in house is anticipated. If anyone has a more accurate translation I’d be curious to know – It was also suggested in the message I received that the 1DsMk3 would appear in November. 25th Lots more detailed info on the trickle of 1D Mk3s being delivered is coming in (thanks). For example, Jacobs Digital in London got 5 yesterday – nowhere near enough to meet their pre-order list (Foto & Video in Norway got 8). It seems that Ritz in the US ordered 300 and only got 10 in the first delivery. There’s some additional US 1D3 shipping info on JW’s rumour page, including some figures on just how little of one big US dealer’s order was initially supplied. 23rd From within Canon we’ve heard of discussions about the 1Ds3 launch at Berlin’s IFA show (31/8/07 to 5/9/07) The launch date is set for Friday the 31st August. No other info I’m afraid, since it was only the launch date and venue that was being dicussed. While looking at several sites, I noticed that quite a lot were not listing the 1DsMk2 – far to early to infer anything from this, but always worth keeping an eye on the 1Ds2 supply situation. 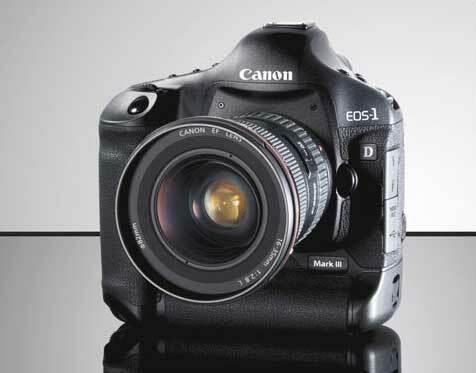 “Canon U.S.A. is still on target to begin shipments of the EOS-1D Mark III to its authorized dealers by the end of May. This is the same information we supplied to dealers on April 16th, and there have been no changes in our plans since then. “By the end of May” is as close as I can say for now. Shipments may begin sooner than that (they have not begun yet in the U.S.A.), but they most likely won’t begin any later than that. Again, this is U.S.A. information only. Shipment schedules in other markets may differ. As I am sure you can imagine, demand for this camera is going to exceed available inventories for an unknown period of time. As a result, the camera will initially be “on allocation” to authorized U.S.A. dealers. It’s difficult to say when a specific dealer will receive merchandise, or how many cameras will be shipped on a per-dealer basis. The basic idea is to spread the distribution as fairly as possible according to the orders we’ve received. We expect to receive shipments from the factory in Japan regularly, and shipments to dealers will be scheduled accordingly. Please understand that as a member of our Marketing team, I have no way of checking the allocations or shipping schedules for individual dealers. That’s a Sales issue, so my best suggestion is to keep checking with your dealer for updated information. 18th Apropos of the 80-120MB comment… I’m told (thanks) of comments heard a while ago that the 1Ds3 camera would have in-camera menu capability of having TIFF files saved directly to the CF memory card, as well as RAW and JPEG files. The venue for its announcement is probably Berlin’s IFA (link fixed)show (31/8/07 to 5/9/07), as it’s the largest show remaining in this year, being billed as the Worlds Largest Consumer Electronics Trade Fair, having over 200,000 visitors in the 2006 show. Quite a few reports suggesting that the 21st is a fairly likely date for commencement of 1D3 supply. I’m told that the HK based DigitalRev are saying the 1D3 is in stock at £2449.99 (but do beware of the warranty situation if you contemplate buying cameras from overseas) I’ve also seen the 16-35 2.8L Mk2 for as low as £830 (with international warranty), so it pays to shop around. 15th In Germany, I’m told Canon is sending dealers an email which roughly translates as saying that worldwide distribution is starting on the 21st May, and that this is the ‘official’ date worldwide. “Die Auslieferung erfolgt ab dem 21.5.2007. …offers for the Northlight site accepted in bundles of used notes in small denominations. 2007 May 12th I’ve had a few mails from people (thanks) waiting for their 1D3 For instance, as of the other day Ritz (in the US) had 53 confirmed pre-orders, they have hundreds on order, but as yet nothing showing up (for retailers) in Canon’s warehouses. While (as I’ve heard from several sources) Canon don’t give any advance warning of shipments, they do notify about serious delays, which they haven’t done. Calumet in the US is advertising ‘3-10 days’ for 1D3 shipping. 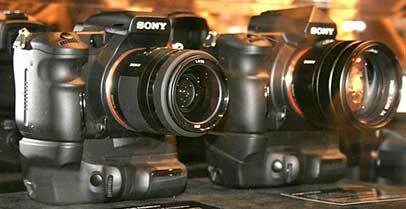 What about those mock-up Sony SLRs at PMA? (9th March below) Could one be FF? See this thread on DPR where June/July is mentioned although this post suggests that the A300 is for this year. 2007 April 28th Amazon seem to think they are getting their 1D3 deliveries pretty soon – see this link from someone who is supposed to be waiting, although it was pointed out to me that Canon never usually gives advance warning of shipments. I’m really hoping that when the 1Ds3 finally appears the release/supply dates are somewhat closer together. 18th Over on FM there’s a post pointing to a 26th May shipping date for the 1D3 and price of $4500 – given the current £ vs. $ exchange rate, I might have been tempted if they were actually in the shops, but my CC seems safe for this trip :-) Meanwhile there is a 400D firmware update available. 14th From Germany (thanks) … a usually reliable German computer magazine called c´t mentioned (as an aside) that the 30D successor will be announced in May. Not exactly news to hurry along 30D sales… Note though, that the rebate scheme (which includes the 30D) runs until June 30th. 2007 April 12th A quick update on 1D3 delivery (thanks). It seems that if you look on the bottom of the comparison table (on the 1D3 page) between 1D2N and 1D3, the release date is listed as late May 2007. Info is from the Canon camera museum. Meanwhile on FM there is a report that the Canon part number has changed, supporting suggestions that a firmware upgrade may have delayed the release. 1st April fools special or not – news from Japan of serious 1d3 delays from POTN. Meanwhile, Warehouse Express in the UK have been sending out details of the various Canon rebate offers: “Up to £1308 CASHBACK on selected CANON DSLRs and accessories” Looks like a concerted effort to shift some kit. See the notes here on the 4th March for some European info. Actual rebates seem to vary a bit between countries. 2007 March 29th – Quick 1D3 availability roundup (thanks to all those who sent in info) B&H (US) announce price ($4495) and availability (May). Meanwhile in Japan it’s 440000-498000 yen ~ $3750-$4250 and a May 31 availability – production is rumoured to be about 5000 per month. FYI I’m told (thanks) that one of the people behind ‘Red Camera’ is Jim Jannard who is the (somewhat wealthy) owner of Oakley sunglasses… and also one of the very few (and thus extremely expensive) Canon EF 1200 mm f/5.6L USM lenses. 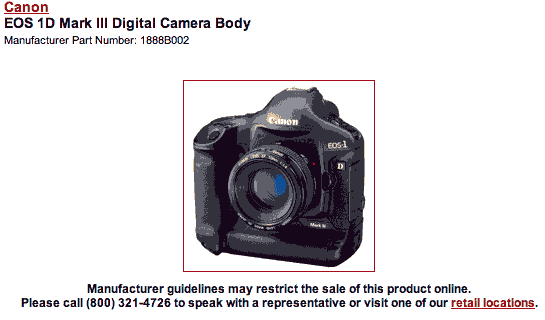 25th B&H in the US have a price ‘TBA’ and availability ‘Approx arrival May’ for the 1D3. I’ve also had a few mails from people who’ve read the DxO review I recently posted, wondering when technology like this will move ‘in camera’. The amount of data in a DxO lens module is possibly a bit much to quickly shove through the current EF lens mount (Link to discussion about how the EF system ‘works’) but it would enable each lens to give its best with any particular body. Maybe not in the 1Ds3, but if you are going to 25MP and beyond in a 35mm format, then more than just better glass might be needed. Meanwhile Foveon type technology keeps getting mentioned, along with the ever present “how many bayer pixels equal a Foveon pixel” arguments :-) Fujitsu recently announced a new image processing chip for such multi-layer sensors. A price ($4499) and delivery time (3-10 days) appears on the US Calumet site – the UK site (£2999) is still only taking ‘pre-orders’. That UK price (which includes tax [VAT] at 17.5%) works out at about $5500 by current exchange rates. On the 5Dmk2 page I was sent some Canon info with a picture of a 5D with a non standard top LCD – looks to be an old prototype however. however, clicking on the INFO link shows this curious note in the item description. Can anyone let me know just what these ‘guidelines’ are? Is it warranty related? Meanwhile in Japan (thanks for the info), the 1D Mark III is 498,000 yen (US$ 4300-4400). The supply date for the camera is the end of May(! ), the Speedlite 580EX II is the end of April and the EF 16-35mm F2.8L ll USM is the end of this month. 15th In Germany Canon is sending out a mail which says there will be Cashback for 400d, 30d and 5d staring on 1st of April, ending on 30th of June. 14th Some 1D3 prices starting to appear on US sites (thanks for the info) $4999 at zipzoomfly and $4599 at fotoconnection – however supplies are, as expected, somewhat scarce. I’d be interested to hear what this does to noise levels for studio use (perhaps not the main market for the 1D3). If you are curious about just how much temperature affects noise, leave your camera to get quite cold, switch it on and immediately take a shot at highest iso. 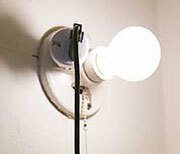 Then leave it switched on for a while in a warm room to thoroughly warm up – take another shot and compare the two. This shows up particularly well with small P&S cameras with tiny sensors (ie very small pixels). “The topic that dominated was model replacement, specifically the move to the 1DMkIII from the MkII, but also touching briefly on the 1Ds line, and the Rebel and 30D. As for the 1 series there is a short blurb about not wanting to multiply various models (i.e., increase to even more variations than the 2 that now exist.) Stated is that it would be ideal to have only a single (pro) body cover all needs, in order to keep development costs down, but that it isn’t possible to cover all the bases (such as the requirement for the studio) that way. On the other hand the lower cost bodies, intended for amateurs and high amateurs, are designed to a price. If you want more functionality in these bodies (the 400D and 30D replacement is implied) then they will cost more. The design philosophy does not really appear to have changed — not so good for people wanting a 1.3x crop “3D” or an 8fps, 45point AF APS-C camera. “Q: So are you saying it will be an APS-C sized sensor? A. No, I didn’t say it would be the same size as current models either. Given the D3 ‘No Show’ at PMA, have a quick view of what they actually said they were aiming at, mid 2006. Take for example this interview with Mr. Takaya Iwasaki, Canon representative for Central East and North East Europe, Sub-Sahara Africa and Middle East back in October 2004 (1Ds2 released) and look what has (and has not) yet happened. 2007 March 5th Probably more people looking towards a possible Nikon announcement today … FF, 1.1 or nothing at all? It may not exist in boxes ready to ship, but advanced pre production versions are still out there being tested at the moment – and how many months is many? 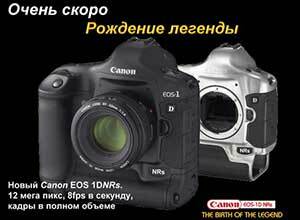 “Canon-Spain senior officials announced in February 2005 that in the fall of that year Canon would release a new model of DSLR between the 20D and the 1D. Anyone else there, care to comment? No live display and we get Digic IV (is this the dual core version of Digic III? ;-) Also, Canon is hardly known for announcing/leaking products months ahead of availability? But who knows? February 28th I see that B&H in the US have pushed back delivery dates for the 1D3. No price as yet and “Availability :Approx. Arrival May” (was April) Perhaps more sales demand from the big corporate buyers? Over in Nikon rumour land there is a lot of talk of a Nikon D3 1.1X crop ‘full frame’ sensor being announced during PMA (available Autumn)… It will be in the 18MP to 20MP range and have a DX format high FPS, High Speed Crop Mode (for all those DX lenses that won’t handle bigger sensors). For those of you looking for more historical data here’s the 1DMk2N white paper to compare with the Mk3. BTW your 1Dmk3 pictures will look slightly bigger since the active area of the new 1DMkIII sensor is slightly smaller that of the 1DMkIIN: 28.1×18.7mm vs 28.7×19.1mm – time to recalculate all your lens FL multipliers… :-) Just compare p12 of the 1D2N WP with page 9 of the 1D3 one. I’ve been updating links to 1D3 related issues on the 1D3 page – including a link to a (not exactly probing)interview with Chuck Westfall of Canon US. “The retail price of the EOS-1D Mark III at introduction will be $3,999, the same price at which the EOS-1D Mark II N debuted.” -What was this price? The UK price for the 1DMk3 has been quoted at £3050 to several people – yet another example of somewhat skewed exchange rates and prices if the US RRP really is $3999 (that’s $1.31 to the pound where even my tourist rate is currently $1.86) Then again there is a market that will pay £3k. I’ve not seen advertised prices in any of the adverts around here yet, but I believe that Canon UK has not yet included a manufacturers price. 22nd 1DMk3 info is now on its own 1D3 page as I collect all the different versions of press info from round the world. Ok, so when do we get the 1Ds2 replaced? ;-) I’m already hearing the cries of disbelief over there being no 40D, however a 40D was never going to be released at exactly the same time as something with so much new stuff as the 1D3. The cryptic but so far rather accurate DPR poster ‘Tsiphoto’ is saying that there will be no 40D at this PMA. As ever there is still the fact that PMA isn’t until March, although the liklihood of any major announcement is, I would have thought, slim. There is the PhotoPlus Expo 2007, slated to be held at the Jacob Javits Convention Center in Manhattan on October 18–20, 2007. There is also CeBit 2007 in Germany but 15-21 March is probably too close to PMA. 14 bit – 50% less shadow noise. Well, look as if my upgrade money is safe until the Autumn – However the 1Ds Mk3 rumours page will continue! The 1ds MkII replacement in the fall with 22 MP and the 5D next year. 20th Over in DPR we continue to get cryptic additions like “19 cross-type af points, ISO 6400” from the poster of the 10MP 10fps stuff the other day. Noticed how little solid info there is about new Canon stuff?, Well we had an interesting mail describing various bits of kit that have been out and on test over the last six months. Canon have had too many different ‘test’ bodies out there and have told everyone “don’t necessarily expect this to be released we are just testing — we are testing a number of features in the market and what we finally release is likely to be quite different from what you are testing” – this seemed to be the standard warning given to all testers. The “secret” ones being tested very discretely in the last couple of months are final or near final units. –A– new DSLR … no 40D? 2007 February 18th A few more mails I’ve had suggest that the cropped 10MP 10fps 1DMkIII (1.3) may be what we get next week? Although he has recently said that there is “no video”. Video has certainly been tested in some of the sample cameras out in the wild, but a lot of features get tested and may not make the cut for cost/engineering/usability/marketing reasons. Talking of video, Sony have announced a 6MP CMOS sensor that can capture 6MP at 60 frames per second (info on DPR). 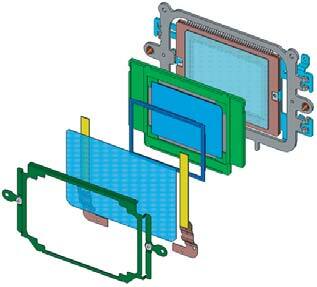 Sony make sensors for lots of other companies, including the (CCD) sensors used in Nikon DSLRs. 17th At last, an interesting thread on a board that points to some very interesting announcements? “There will not be a camera manufacturer out there who is not looking at building HDR software into cameras while they expand the range of their sensors anyway. “But now….it’s all changed and top of the rooster shed roof is Canon and now there’s a whole load of new users who just might come into the game with a digital MF Canon….plus of course Canon have made some intersting purchases as a company in the last couple of years. Powershot A740 IS wireless 10Mp DIGICIII, 6x zoom, WiFi. Good to see the 800/5.6 still there in the ‘predictions’ (see the 27th Jan in for a ‘pic’ ;-) … but I do like the idea of a 12-24. 40D and a replacement for the 1DMk2n seem top of peoples’ expectations, although personally, my spare cash sits waiting for a new 1Ds. Of course, if the 1Ds2 replacement is held until later in the year, then expectations will have time to build higher, and Canon have been wanting to get a 25MP 35mm camera out for some time. If you scale up the 400D sensor then you get over 25MP – or it could just be an all new sensor type. “In the Spanish page DSLR Magazine, by Valentín Sama (a quite knowledgeable person), he cleary states that this 22nd of February Canon is making a big international show for unveiling new products, and that Kenya will be, probably, the place for this event (although he says that this piece of info hasn’t the same degree of accuracy as the info about new cameras). He continues saying that a new range of lenses (a new mount, I mean) will be unveiled, as well. Kenya – nature photography? High speed, high megapixels, long lenses or a combination of them all…? Nikon on the other hand doesn’t seem to be willing to stand still after the recent introduction of it’s D40 & D80 models and will be presenting another model that -rather surprisingly- would be placed on the middle/lower segment. That is, a kind of “D60”. Some rumors regarding “big news” from Nikon for mid 2007 are gaining credibility. Speculation runs wild and could go from the introduction of a Full Frame model to the dropping of Nikon’s traditional F-Mount, or both. At Leica, and given the recent signals regarding the dropping of the current Digital Modul-R, the launch of a modular reflex system seems closer. Theoretically, the philosophy of the Solms company, the new Leica-RD should incorporate a mont compatible with the current R series. The sensor should NOT include the 1.3X mount and should offer a resolution of around 17 MP. Regarding optics, the mentioned R series will be compatible, but a new line of lenses is sure to come and we suspect they will initally be zooms. Now, as news from Olympus, Canon and Nikon seem imminent, for Leica it’s easy to make us wait until 2008 or 2009. PMA is, as we know, practically around the corner and logically rumours regarding the most important products that could be presented in Vegas are starting to flow like lava. It seems like Olympus will be presenting it’s products the morning of the 8, in a spectacular natural setting that we cannot (yet) reveal. Sensor, a CCD by Kodak, should offer good signal-to-noise ratios. 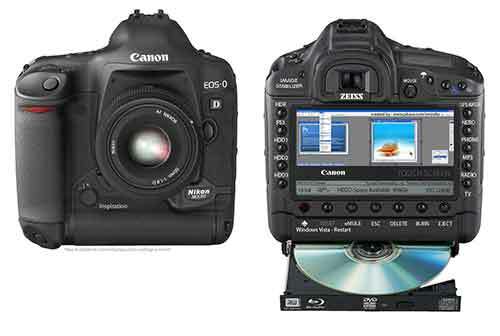 Meanwhile Canon is still keeping under the tightest secrecy the development of at least one Pro-level model. We have stated previously that one of the characteristics of this new model will be a rather large screen with very high resolution that will allow professional photographers advanced editing functions “in-camera”. It also speaks of a high FPS. From this point of view it is clearly a photojournalist camera with a mid-size sensor. 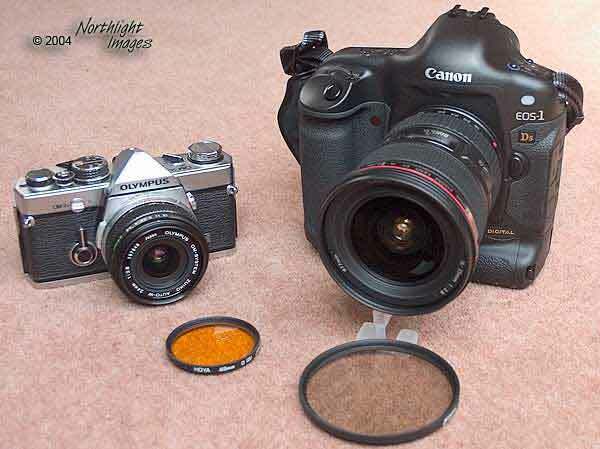 However some american professional photographers have had the chance to try a working prototype of a 22 MP SLR from Canon. Seems like too many MP’s for a photojournalist’s camera. To add fuel to the fire some witnesses mention a size about half that of a 1Ds. To try to square things out, a 22 MP Sensor at full frame with a large screen that allows editing in a smaller camera… Could it be that we are discussing two different cameras? The most notalbe is that -finally- Canon is aware that it is imperative to offer lenses that offer the optical quality demanded by the newer sensors. We are talking about homogeneously acceptable resolution across the entire frame, less vigneting, more precise focusing, etc. There is a strong rumor that Canon will launch a new line of ad-hoc lenses for this and may be willing to make adjustments to the current mount. Canon Meanwhile, Canon follows at least under the maximum secret with the development of a new model of professional character.Or we have commented, in some other place, that one of the characteristics of that new model will be a monitor or screen of great size and hi-res and quality of image, a monitor that will allow the photographers professional outposts edition functions “in camera “.Also it is spoken of a high frequency of firing. From that point of view, one would treat clearly of a camera of “news article”, perhaps with a detector of intermediate size.Nevertheless, algunos/as fotógrafos/as professional North Americans has had apparently occasion to prove – in their habitual sessions of work units functional of new réflex monocular digitalis of Canon, and those units incorporated detectors of 22 megapíxeles. They seem many megapíxeles for a news article camera no? In order to add a little more confusion, some of the witnesses affirms that the model offered like test “was of half as large as a EOS-1Ds”. Of course that can be arrived “to cuadrar” everything: a detector of 22 megapíxeles to complete size (24 xs 36 mm) and one great screen that edition allows, but does not seem easy to do it in a very small camera. We will be speaking of two different models? Most remarkable, it is than it is spoken of which – by Canon aim one has become conscious that it is to him imperative to offer objectives that really are to the height of optical quality which they demand its detectors. We acceptably spoke of homogenous resolution mainly the area of the photogram, less viñeteado, more precise approach, etc. The rumor that runs Canon would send to the new range of objectives “ad-sickle” and that stops it would be arranged to even make changes in the mount. We will see. On a more useful note… If you read the sensor info yesterday, then do look at some of the info in the follow up posts in that LL thread. A worthwhile comment on Erwin’s briefly visible page is followed up nicely on FM suggesting that there may well be digital zoom (sorry, must remember — ‘Dynamic crop’ in pro marketing speak) on the 1D2 successor. There is a copy of what was posted on Erwin’s site at POTN …not exactly a comprehensive technical analysis but interesting to see. Things are pretty quiet on the Canon MF rumours front, but there was a recent document posted on the LLforum by Sinar, that’s quite interesting when thinking of large MP sensors. I’ve got a pdf version available. “33 MP Dalsa & 39 MP Kodak Sensors, Technical Differences and Facts” perhaps slanted a bit towards the Dalsa chip (it’s what Sinar use after all) but a good reference. A real leak at last? – thanks to all the people who sent me the the link to Erwin Puts site in Holland. The site has aparently had some pretty reliable news/rumours in the past. Subsequent suggestions in the FM forum point to a switchable ‘dynamic crop’ mode for those used to the 1.25 crop sensor of the 1D2. Mind you, that sounds suspiciously like a ‘pro’ version of ‘digital zoom’ ;-) — that marketing invention that has no earthly use in any decent camera. Incidentally Erwin is a ‘real’ expert compared with many on the net – see this review of his Lens book. The modular approach also brings us round to batteries and a lot of discussions about the merits of NiMH and Lithium Ion and its variants. See this bit of the FM thread for some assorted battery info. The two NiMH batteries for my 1Ds are still going strong after 3 years – bit less capacity, but I rarely have to take a charger with me on single jobs. 9th With the long lens rumours there has been more talk about why extra contacts might be needed for lenses (see the new lenses page for info on what all the existing contacts do). New lenses might contain a whole load of information about their distortion types and amounts – this data needs to be downloaded pretty quickly, and it’s possible that the existing EF interface just isn’t fast enough. I’ve used DxO optics Pro for some time when I needed to correct lens distortions, and I know that DxOdoes a lot of work with camera manufacturers (Note particularly the Corporate info). If you’re curious, I’ve a review of V3.5 showing some of what it can do – I’m currently working on a review of the latest version V4.1, which has added a lot of new ways of working. From POTN, we hear that at last, US regional sales reps are to get some real information to pass on. Meetings are being held next Monday and Tuesday (12th, 13th). Of course, that doesn’t mean they will be allowed to pass the info on immediately. The UK event I mentioned yesterday is for dealers – I even got asked “Are you going to be there?” by one when I was looking to confirm the info yesterday. Unfortunately the 24th is a Saturday – not a traditional news day, but I’ve confirmed there -is- an event of some sort on the Friday. The switchable aspect ratio rumour has been widely picked up and commented upon. If you have a sensor that covers both sizes (say 36×24 for the conventional 3:2 and maybe 34×25.5 for the 4:3, then you need a bigger sensor – with a new viewfinder, prism, mirror and shutter. Ideal chance to redesign the AF and metering systems as well. So, add in a new sensor design and you’ve got a camera that is suitably different to stand out from the crowd – but not necessarily different enough to be spotted by people looking out for ones being tested in the field :-) All the old ‘Are Foveon megapixels real megapixels?’ arguments are in for a re-run if there really is a whole new sensor design in forthcoming products. Is this the TrueColor, mentioned a while back (9th Jan)? Superbowl came … and went without any announcement, so it’s all eyes on the run up to PMA which opens on Thursday 8th of March, although ‘Press Day’ is on the 7th. Current Press Releases are listed at the PMA 2007 site. Another long term wish list component that regularly surfaces is the use of a Pellicle mirror, such as was in the EOS-1N RS. Without the need for the mirror to flip up and down the camera is faster and quieter – not a feature I’d expect soon, although Olympus have had the ‘liveview’ system for the E-330 for a while. New wireless options on the way at PMA? Those of you going to PMA might notice that Canon have a pretty big space to fill (floorplan PDF). I’m told that Jessops (UK) is now listing the 1DsMk2 as out of stock, although the Calumet site was listing the 1Ds2 with Wireless kit as available at only £3 extra. (Now back in ‘stock’ ;-) I’ve also had comments about several Swedish suppliers being out of stock, but showing the WFT-E1 wireless adapter as included with 1DsMk2s. — Possibly a surplus of wireless adapters available, if it’s built in to the new camera? Thanks again to everyone who has mailed me with their comments and observations from around the world!